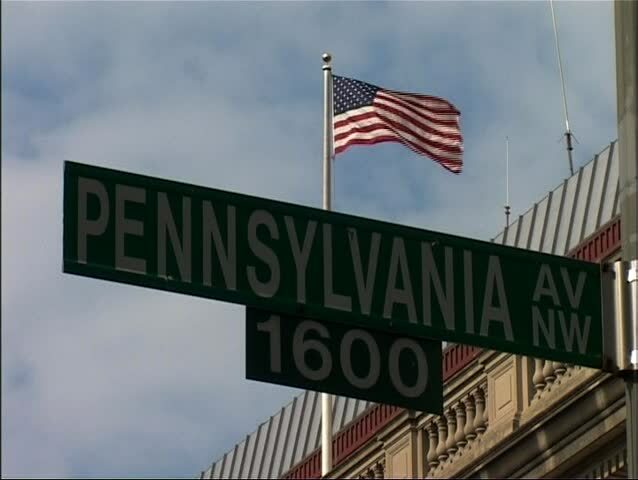 A locked off shot of the sign, 1600 Pennsylvania Avenue with an American flag flying behind the street sign. This is the address of where The White House is located in Washington DC. hd00:07Goshen, Indiana / United States - 03 23 2018: The community center for the 3d printing convention in Goshen, Indiana.